Geneaire Inc. has introduced a new category of supplement to stabilize the longevity of neural/brain cells and resist degradation caused by aging and its related diseases. 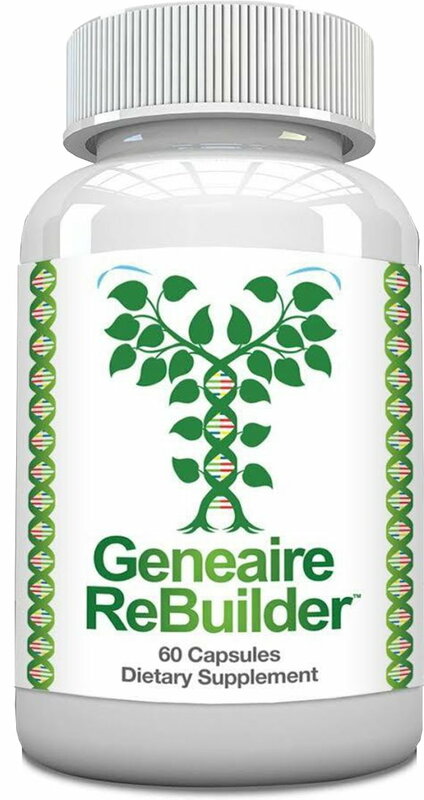 Unlike most supplements that consist of one or very few nutraceutical compounds, Geneaire ReBuilder™ is a unique, patented formulation of 13 specific interacting components, all taken from the FDA's GRAS List (Generally Recognized As Safe). This formulation has been created to stimulate specific human genomic sites identified as critical to the continued healthy function of brain cells as we grow older. The discovery of approximately 500 of these genomic sites, and the multi-compound formulation that positively stimulates them, is the result of over 30 years of scientific research and clinical testing conducted at University of California, Irvine, Genescient, Inc. and Hoag Hospital, CA. If you are interested in promoting later life healthy brain function or you or a loved one have been affected by its degradation with aging, please click here to find out more about this research and how Geneaire ReBuilder™ may be able to help.